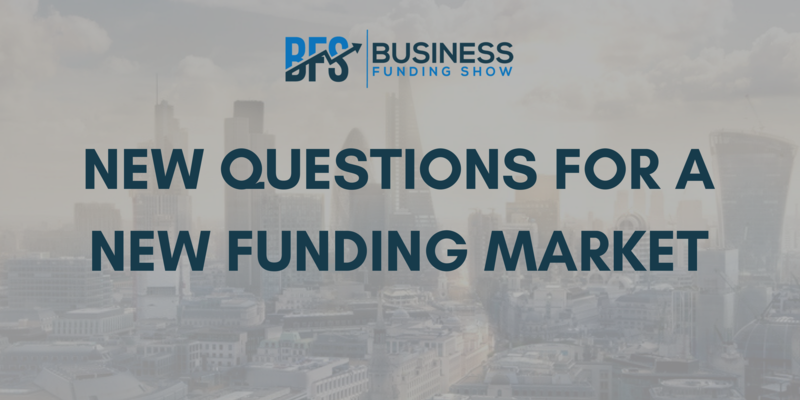 It’s been 10 years since the concept of ‘alternative funding’ appeared in the UK, and 3 years since the Business Funding Show was born. Rapid development in the sphere of business funding is still in progress in the UK, and it feels like year by year the market brings new practices and matures significantly. Looking back just a decade ago, one can notice a dramatic difference in the funding landscape and see how it has evolved over a relatively short period of time. Ten years ago, with the vast majority of funding sources represented by banks, UK SMEs struggled to obtain the capital necessary for their growth. At a time when high-street banks were becoming increasingly affected by the escalating financial crisis, and more restrictive than ever in their terms to lend money to small businesses, alternative funding took its rise. Understandably, it was a total game-changer for entrepreneurs. New streams of financial support started being introduced – funding sources such as crowdfunding, peer-2-peer lending or cash advance, previously unknown and unheard of. A few years later, we still can observe the continuous progress and development of the industry to address the market’s needs. First of all, more and more newcomers are becoming regulated. Take crowdfunding as an example – just a few years back an unregulated practice (with quite complex legal and shareholders management terms at the time), it has now established its own set and regulated standards, making the life of business owners much easier. It’s now also a lot more straightforward to join the market for quality newcomers, where a company adhering to regulations and best FCA practices can start trading sooner to offer its financial solutions, and the time required to become FCA-regulated is no longer a barrier, since qualified funders can join an umbrella-organisation (an already regulated partner) whilst waiting for their own FCA approval. Ongoing continuous changes in the industry also impact businesses, which have finally started picking up on the differences between the range of funding sources. The shift in their awareness is perhaps best demonstrated through the comparison between the questions entrepreneurs used to ask us a few years ago, and the questions they ask now. Just 2-3 years back when we started planning our first ever Business Funding Show to help business owners meet all the financial providers in one place, we remember addressing such concerns as fear of being rejected, or how to tackle the reluctance of traditional financial institutions. 1. Which options in the long run would be a better fit for their strategies? 2. What is expected from an entrepreneur by specific types of funders? 3. Who are the best funders for specific sectors or business stage? 4. What are the various funding sources for concept-stage and post-revenue businesses? Looking just at these few very basic examples of questions, one can instantly see that entrepreneurs have become more sophisticated in their fundraising approach in a very short time. It’s also great to see that this development occurs on both sides. Funders are now a lot clearer about what they offer, which part of the market they serve, as well as what their criteria are for businesses. It sounds ironic that a lot of the investors – who are encouraging businesses to be very clear about their propositions, and to aim to explain their products in a matter of quick minutes – have not always (and some apparently still) been able to do so themselves. We’ve often seen their websites resembling promo ads, rather than a clear financial provider’s website with set terms and expectations. Luckily, due to growing competition, which requires specialisation and segmentation, we can see more and more specialist funders who are not only experts in funding and business growth, but also can contribute with their expertise to selected industries. This can be observed across sectors and stages of business growth. However, the more the market matures, the more criteria of both parties change. Businesses, having a wide array of options to choose from, have started getting more selective. This is largely due to the fact that the majority of fast-growing businesses are no longer interested exclusively in money – they are also interested in fair valuation, overall terms, what their new partner can bring and/or take, and whether it all sounds like an attractive deal. Funders’ expectations are obviously changing too. A few years back the market was after prospective unicorns. However, when it became obvious that the majority of future self-claimed unicorns won’t pass the challenge of scaling and some of them will go bust even before the actual take off, investors shifted their focus to businesses that have more chances to succeed, albeit with slightly more moderate potential returns, tracing post-revenue businesses. On the other hand, bank and alternative lenders who need to ensure to minimise the risks, are also more concerned with stable repayment from borrowers, and to no surprise, they look to support stable and growing businesses with a proven track record. At the same time we are observing the Fin-Tech industry boom, supported by a continuous and growing interest to the sector from banks and investors. All in all, there are strong signs showing that the funding industry is still in the process of development, so let’s see what else the market is going to bring. Want to get a feel of what BFS' events are like or can't afford to wait for a few months to meet funders? Join us at our next event Summer Networking with Funders on Aug, 21st.